Hey Guys! 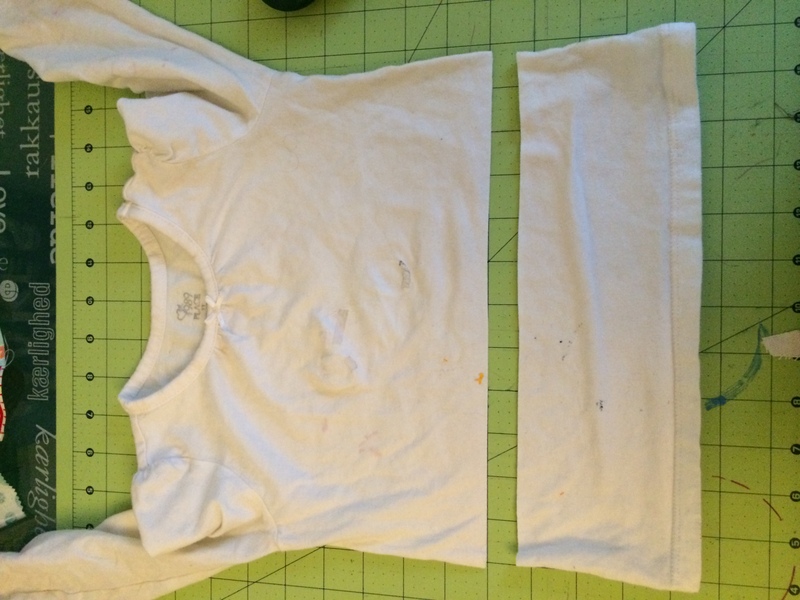 I wasn’t going to publish this post because it just seems too simple to actually blog about.However, I remember as a beginner, I wish there were simpler projects out there to get me started into sewing. So, here is a super simple tutorial you an whip up for your little girl in about 20 minutes. 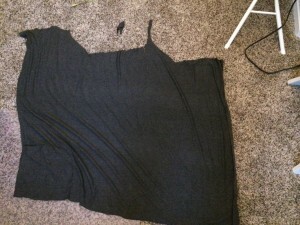 Yep, you read correctly, this dress took me about 20 minutes to make. The tutorial uses an old t-shirt and a circle skirt pattern. 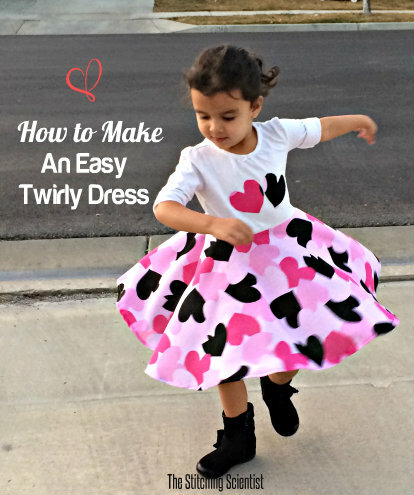 Sew the two together and you have a super cute dress your little girl can twirl around in. 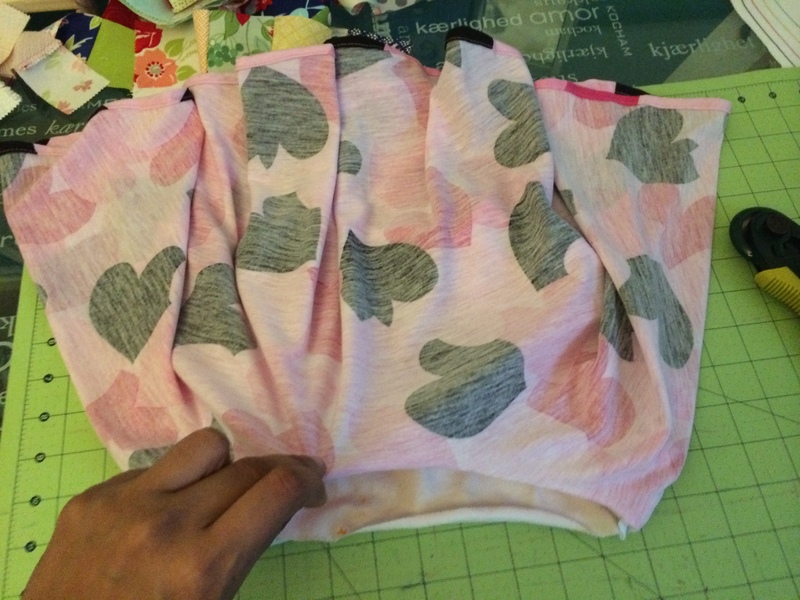 I made this using Tossed Hearts knit fabric from Girl Charlee. 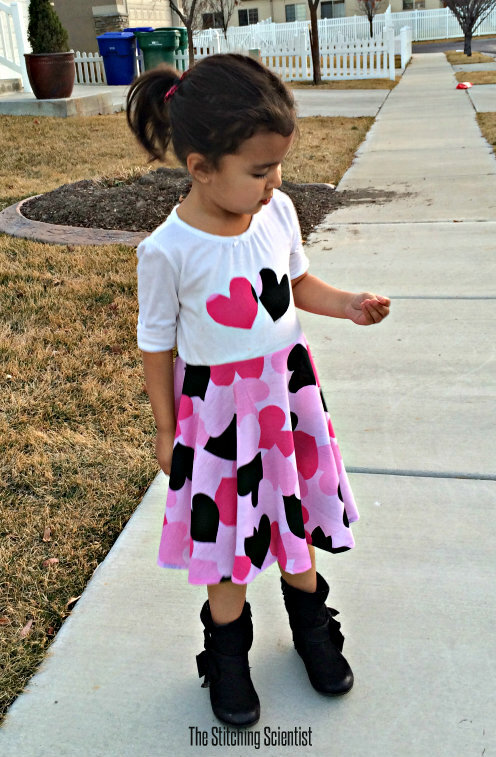 This will be Mila’s Valentine’s day dress this year. Every year I try to make something special for her to wear. I took these pictures with my iPhone, so sorry about the low resolution. I hope you guys enjoy the tutorial! 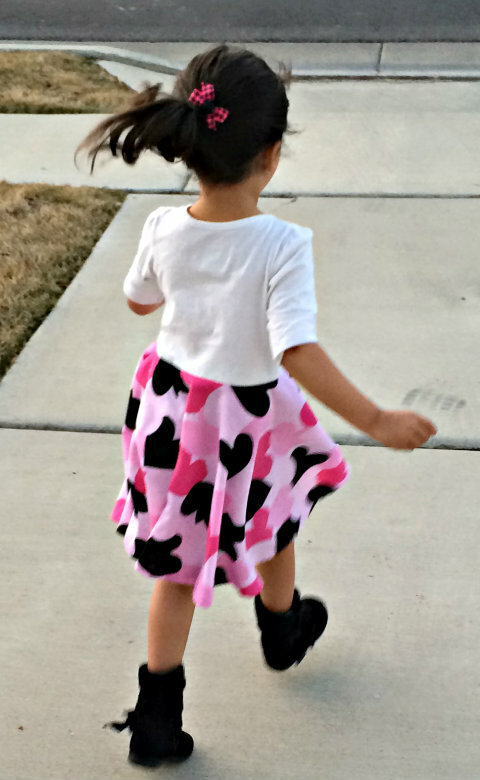 Mila loves this dress because she can twirl and “dance like a princess” in it. The hearts are perfect for Valentine’s day. I was going to add a waist band to it but just didn’t have the time. 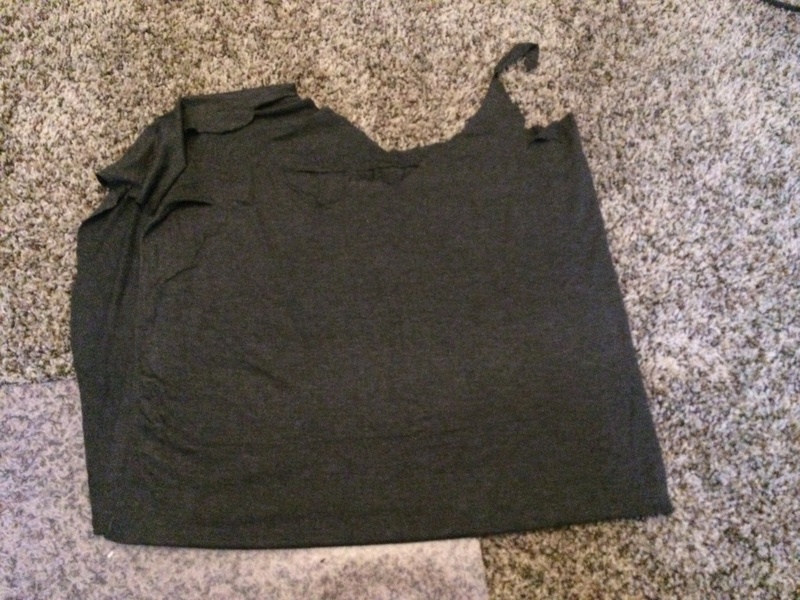 I think it works well without it. 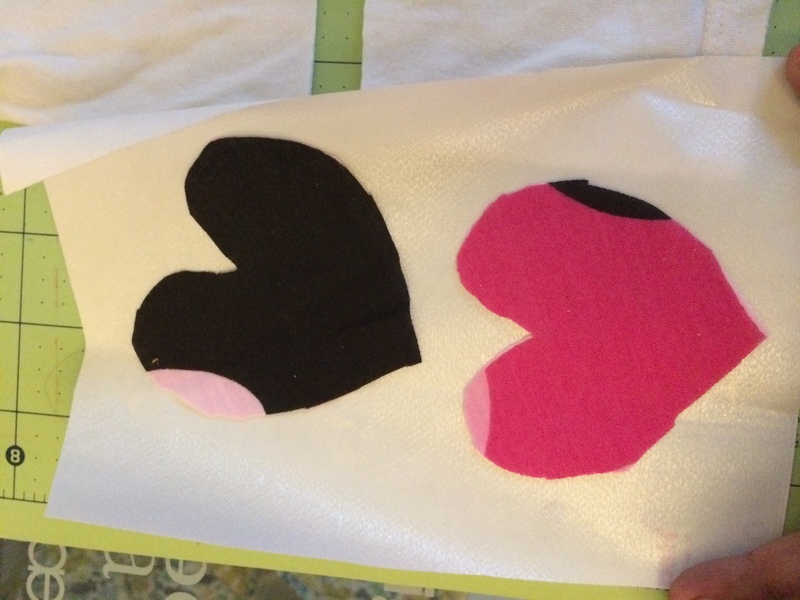 For the top applique, I simple cut out some hearts from the fabric and iron them on the shirt using iron-on adhesive. 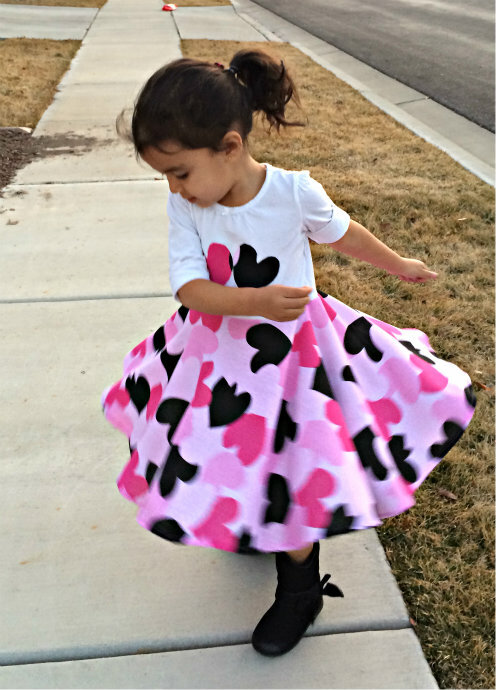 She just couldn’t stop twirling around in her new dress. Love it! 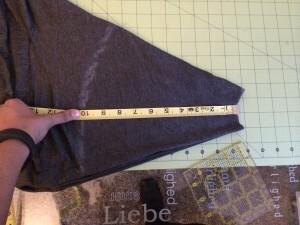 There is actually an app now that you can use to get your measurements for circle skirts. Can you believe this? No more math! Wahoo. 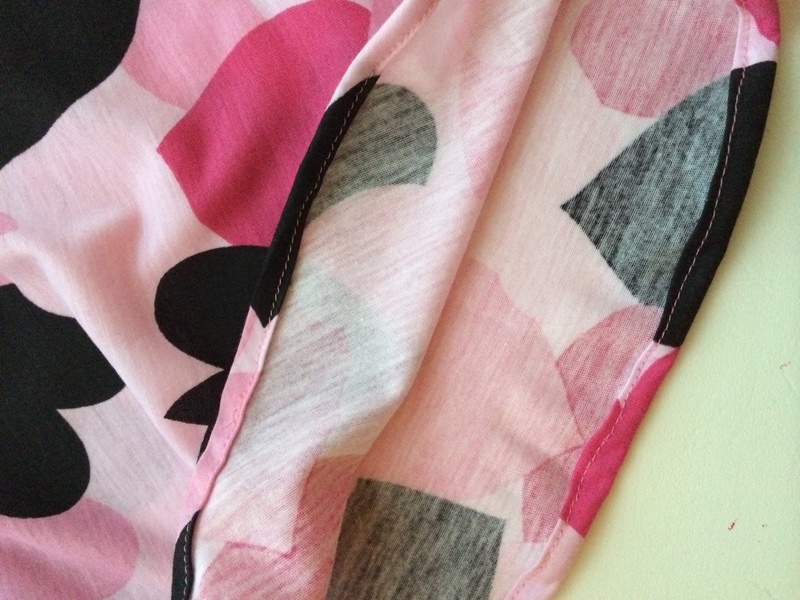 Here is a link from byhandlondon. Use the app to get your radius and length. 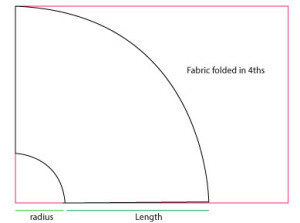 Mila’s waist is 20″, so my radius was 3″. 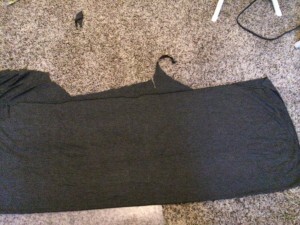 Her length was about 18″. 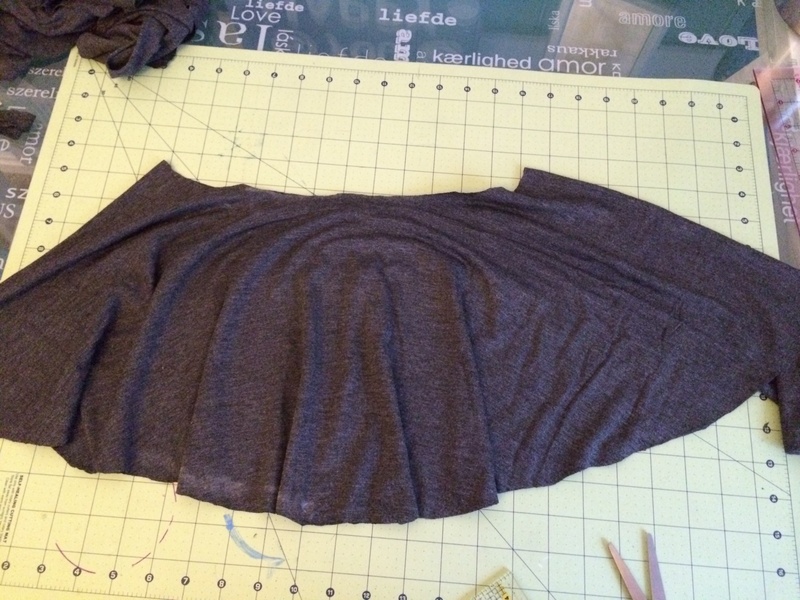 Here are pictures from a circle skirt I did a while back. Sorry, I really wasn’t expecting to do this post so I didn’t take many pictures. Take your fabric and fold it once. 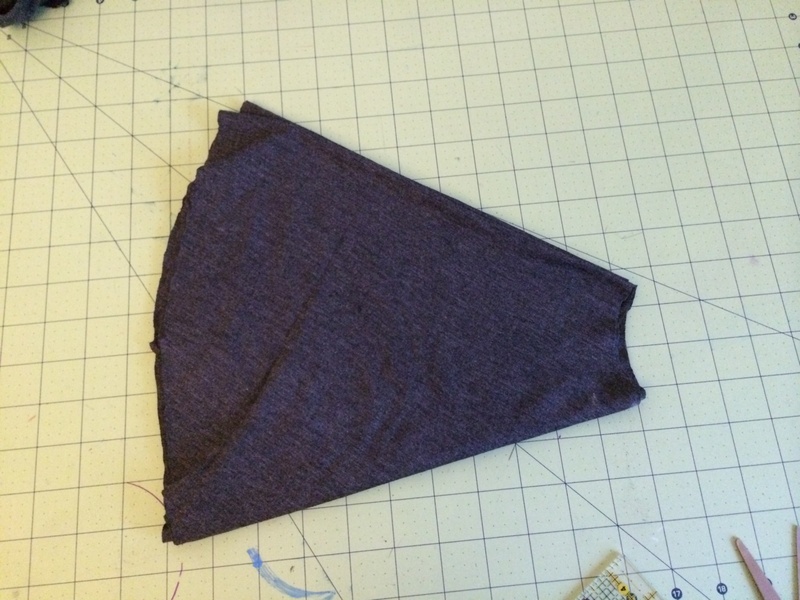 Now take the template and cut out your pattern measuring from the pointy tip for your radius and then from where you radius ends for the length. Now, hem the bottom of the skirt by folding 1/4″ in and then another 1/4″. 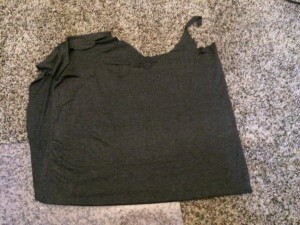 Take your t-shirt and cut about 4″ off the bottom. 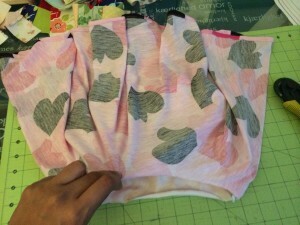 Fit it into the skirt, right sides together and sew. If have something you want to iron on the front, the best thing to use is Heat’n bond and Hold. 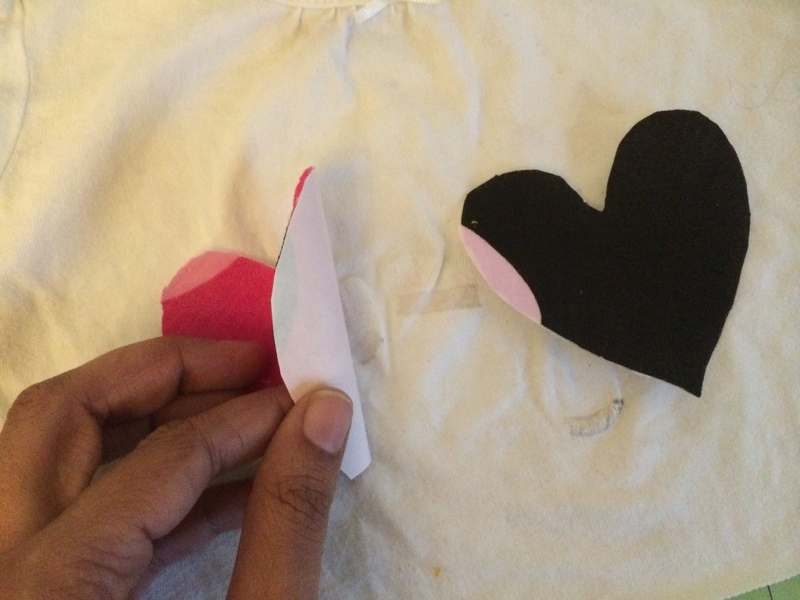 Iron on the pieces to the Heat’n bond, cut it out and iron onto the fabric.